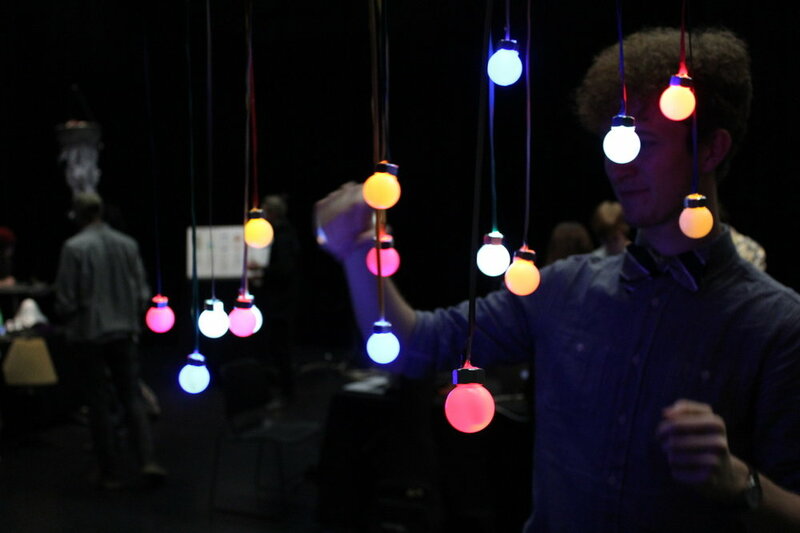 An interactive installation comprised of numerous LED lit balls hanging from the ceiling. Each ball has a unique color and a unique sound. Users can interact with the piece by flicking the balls, thereby activating them. The sound produced is that of a recorded female voice in the scale of C minor, with each ball representing a different note. This installation offers people an engaging tangible musical experience.